Don’t let neck pain become desperation. These initial symptoms are warning signs for Cassandra. At this point it’s very important for Cassandra to have an evaluation on her spine BEFORE it gets worse. Does Cassandra check it out? The answer is no, she continues working as a hair stylist, running her kids around and living her normal life until one day she can’t feel her right hand. At this point she can no longer cut hair because she can’t work the scissors. 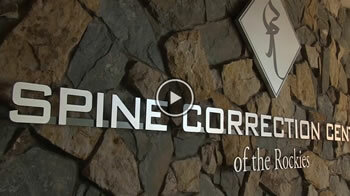 Desperately, she finds Spine Correction Center of the Rockies in Fort Collins while looking for a good chiropractor. She calls and speaks with Jana. Jana gets her in for a FREE consultation and after a thorough examination and x-rays, Cassandra learns that she has a reversal of the curve in her neck which is causing her neck pain. Cassandra is relieved to learn that SCC can help her get her life back! Are you going to be Cassandra and let it get this far or are you going to address the problem before it becomes desperation? If you or anyone you know are experiencing any problems similar to Cassandra, like neck pain, numbness and tingling in your arms and hands, headaches, migraines or any other health issues you have questions about, call Spine Correction Center of the Rockies today!